Do You Require Termite Services? Quickly! If you suspect there may be termite activity in or around your property, there is no time to waste! Termites can go through structural timbers, wooden flooring, doorways and door or window structures in hours. If they’re infesting the building, the extent of the damage can be difficult for you to defect. Property insurance doesn’t cover termite damage. This means that all costs for any repairs triggered by termite problems, whether it’s to hide some minor harm to a wooden door frame or in order to completely replace floor joists and wooden support structures, are not covered by your insurance policy and will have to come out of your pocket!. You will certainly save money with regular, and we recommend annual, termite inspections. The $249 it costs for a termite inspection is really a small fraction of what you’ll spend fixing damage triggered by termites if the problem is left untreated for any length of time. Today, termite treatments often only need just one application of eco-friendly chemical treatments or termite dusting or perhaps a termite baiting system, depending on the structure of your home and the breed of the termite colony. Our expert advice can be relied upon here to get the best results and we guarantee our services 100%. 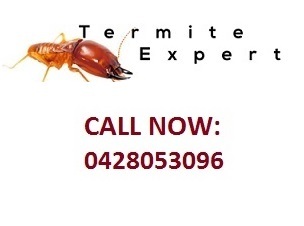 The Termite Specialists provide termite services throughout the Sydney, NSW region. Our office is in Frenchs Forest, but our scope and services include Sydney, Artarmon, Balmoral, Brookvale, Chatswood, Forestville, Gordon, Hornsby, Lane Cove, North Shoreline, Northern Beaches, St. Ives, Turramurra, Wahroonga and surrounding suburbs. Call us today to set up an inspection for termite control in Sydney. Let’s eliminate termites and protect your home beginning today!